Our Visual Arts Program allows individuals of all abilities to participate in art projects in the studio as a recreational activity, entrepreneur or vocational employment. All programming is designed specifically with the needs and goals of each individual person. Students can sign up to work in the studio on a flexible schedule. They are also able to exhibit their art for sale in our office and at various local fairs and festivals. Programming and support can be covered by IRIS or Private Pay. For more information or to set up a meeting contact us by phone or email. The magic of film is in the air as instructors work with young adults with autism or other disorders to develop employment and life skills through digital media and filmmaking. Our Full and Part-time Digital Media Training program provides instruction in visual effects, digital animation, filmmaking, editing, work place social skills, conflict management and more to prepare this underserved group of individuals for lifelong careers. Our training program offers a critical connection between high school and meaningful employment by building on the abilities and strengths of these individuals. Upon completion of program individuals have the opportunity to become certified in Adobe Software programs. Besides the structured training program we also offer private tutoring. We can individualize a program just for you. We provide supported employment services to adults with developmental disabilities in the digital media, animation, art and film industry. Services include assessment, job development & placement, job coaching and job retention. Our mission is to place individuals in community-based jobs or within our working studio that take into account personal strengths and preferences. Our role is to provide the level of training and support each individual requires to attain success in the community. We also provide career-oriented support for media artists with Autism or other disabilities seeking to be self-employed. The Supported Employment program provides support in order to provide an unbroken transition from fostering creative growth to developing a small business. The Employable Skills Program is for young adults ages 16 and up. It is a 3 semester program that can be repeated as often as wanted. It will empower adults with ASD or other developmental disabilities to develop the skills necessary for employment in the film/media entertainment industry. 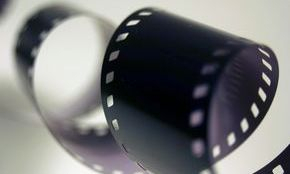 Using film and digital technology, participants will learn the art of filmmaking by working on a professional short film in both the studio and on-location environments. Information is conveyed in an "edutainment" format, meaning that learning is very hands-on and interactive. Participants in our Employable Skills Program learn lighting techniques, camera skills, set design, directing, acting, script writing, editing, team work, collaboration, communication skills, punctuality, personal hygiene, work place social skills, conflict management and more. Participants learn the technical and soft skills through hands-on experiences focused on gaining entry level employment in the film/video industry. Camp Createability is Createability Wisconsins' Summer Camp and Workshop programs. These programs are geared for individuals with Autism or other disabilities. We also encourage others without disabilities to join us for an inclusive setting. All film camps end in making a short film, with film credits for everyone involved. Creating a film is a monumental effort for any group, but for those with Autism or other disabilities, vital skills must be mastered to succeed, including cooperation, negotiation, listening, and taking direction. Participants will learn those skills as well as be introduced to many trades, animation, set design, script-writing, acting, dancing, singing, prop/set building, ward-robe, make-up, budgeting, directing, filming, editing, and other tasks necessary for a film. All workshops and summer camps are open to Ages 7 - Adult. Our Adult Full-Day camp is for anyone age 16 years and older. An awards ceremony and Red Carpet Premier for all programs is held in the August. This showing is open to families, friends, and the public. Our vocational program has a variety of options to prepare young adults on the Spectrum or with other neurological disabilities for careers in digital media, animation, visual effects, filmmaking and editing. Createability Wisconsin is a dynamic solution to the high unemployment and social isolation rates, which are characteristic of young adults with disabilities as they age out of the public school system. We work with an individual and their support systems including, family, guardians, schools, and/or financial and funding agencies to assist in evaluating and planning for the person’s vocational needs. we also are able to support those who seek self-employments as an option. We are happy you have found us. For more information or to set up a meeting contact us by phone or email. Createability Wisconsin offers a variety of video production services. We can help your business create PSA's, Video Blogs, Event videos and more. Our goal is to help you reach yours. We give you caring and personalized services from start to finish. We also offer a variety of other digital media and video production services such as; VFX services, Animated Logos, Logo Design, Animated Titles and end credits, Film Editing Services, Web Design or up keep, Digital Conversion, Memory Montage Videos and more. Createability Wisconsin offers business head shots, senior portraits, pet photos, family photos, engagement photos, etc. We use natural light to photograph children, families, couples, and senior portraits. Createability Wisconsin specializes in autism and special needs photography. All sessions use an easy, relaxed approach sure to get results. Your favorite images are retouched in Lightroom and Photoshop to help bring out the very best in each image. Effectively using social media is key to building a strong online presence and growing your business. Trying to keep up with your audience means more tasks that encompasses your time and steals your focus. 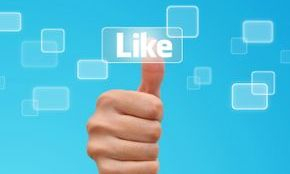 Let us help manage your social media needs so that you can be more productive, and get back to what you love.